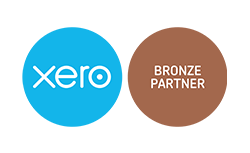 In order to achieve full insight into your business’ financial status and potential, the team at Keith Willis Associates can provide extensive financial auditing services across Nottingham. Not only can we help make sure that your finances are in healthy, statutory order, we can also use the audit results to suggest and advise on potential financial changes to benefit your business. We’re an experienced audit firm who works with startups and small and medium-sized businesses. If you’ve never used the services of an accountant before, then a thorough audit is the best way to get a clear overview of your entire financial history and structure. We can identify strengths and weaknesses in your finance setup to help plan for future profitability, in addition to providing peace of mind that your finances are presented accurately. If you require the services of a chartered accountancy firm who listens to their clients at every step of the way, look no further than Keith Willis Associates. We provide a personal approach to auditing accounting, and always aim to meet your requirements in a prompt, professional and efficient manner.